Our pricing are based on page-views. Multiple plans to suit your needs. 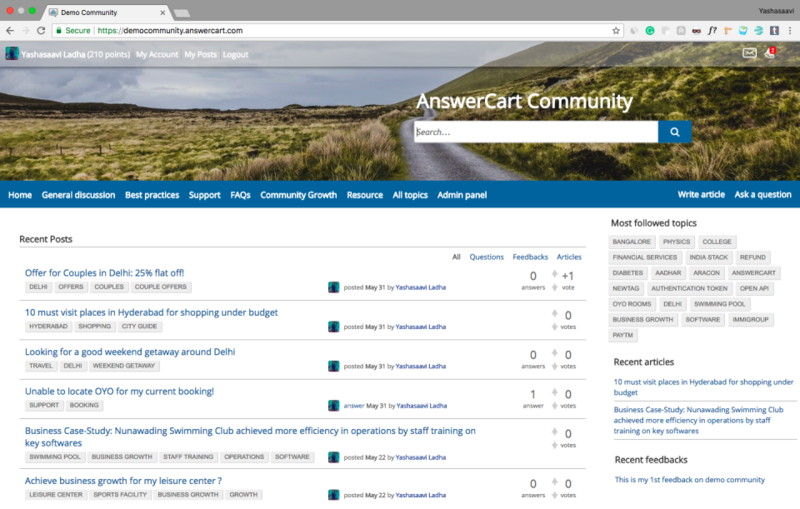 We have reimagined how community forums should look like & have included some really cool features like personalized home pages, advance editor, gamification, multi-channel notifications, inbuilt search, seamless single sign-on & robust spam control. Our softwares layout & design is completely customizable, for all your business needs. Companies use our community forum to drive customer engagement, for customer support & internal collaboration.